Please fill in the form belowon the right to access the product tour video. Owen Vibert will walk you through the main features of our Employee Timesheet and Project Management Software. 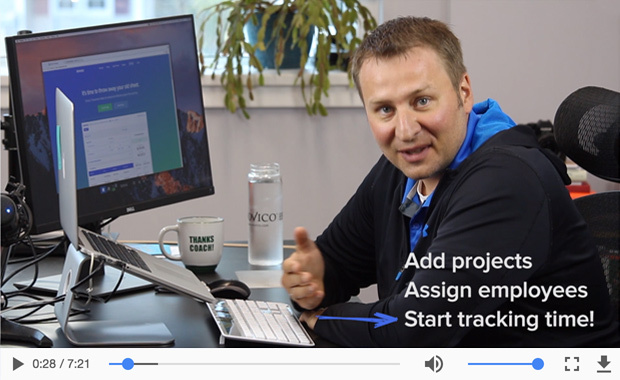 We cover how to add projects, assign employees, and view reports from the manager view, as well as how to track time in the employee view. Enjoy! What's your name? What's your work email? What's your phone number?